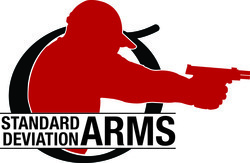 Fits the USPSA 140mm Rule! Tool-less Basepad for Para. Clean Mags = Reliable. Dirty Mags = Not. Clean Your Mags Fast. Reliability is the most important aspect of action shooting. Time is everything. One malfunction means winning or losing. Clean mags are reliable. Dirty mags are not. We know that cleaning mags every stage is a pain, so at least we make it as easy as possible. DP Tool-less Basepads are fast and easy. Pick up that mag you dropped in the dirt, slide the lock gate forward, remove the spring and follower, push a mag brush through once or twice, spray in a little silicone, pop it all back together, load it back up and you are ready in a matter of seconds. Look, if a mag hits the ground it should be cleaned. Dirt and grit act like wheel chocks keeping the rounds from popping up in time to feed in the chamber. Make it easy on yourself. The quality of these Tool-less Basepads is second to none. CNC machined from billet aluminum to exact tolerances mean they last. Drop 'em, kick 'em, throw 'em. Okay, don't kick 'em or throw 'em, but drops from reloads won't faze them. Adding these basepads requires an Arredondo extended spring and follower.